The ex-leader's supporters have gathered in Barcelona to protest his arrest. The charges he faces in Spain could result in 30 years in prison. 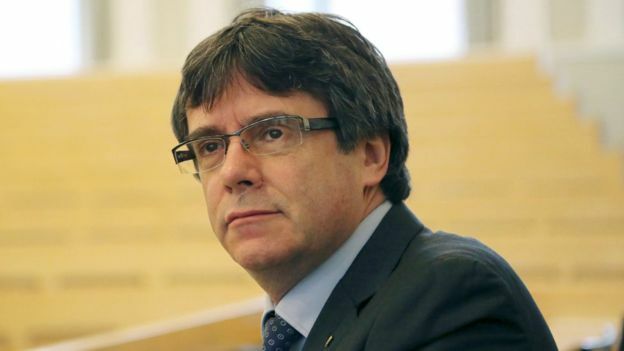 Mr Puigdemont has been living in self-imposed exile in Belgium since Catalonia's parliament unilaterally declared independence from Spain in October. He was visiting Finland last week when the arrest warrant against him was reissued. He evaded Finnish authorities by slipping out of the country on Friday before they could arrest him. His court appearance on Monday will be a formality to confirm his identity.